Mark October 12, 2013 on you calendar, and take a bus tour through the North Fork’s agricultural and architectural past with a visit to nine of its historic barns–including the Hotchkiss Barn, built by town founder Enos Hotchkiss in 1885. 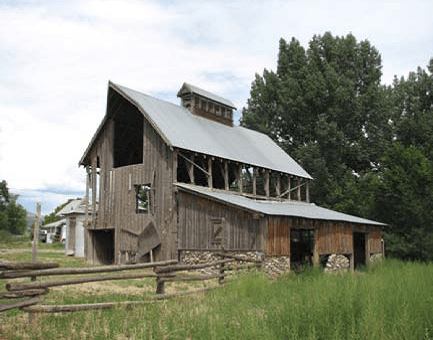 The Enos Hotchkiss Homestead, which includes the Hotchkiss Barn, is a Colorado Centennial Farm and on the National Register of Historic Places. This brick barn is the oldest major structure still standing in the valley, although a microburst in 2010 badly damaged it. Already in need of attention before the storm, now local organizations are hurrying to secure necessary funds to save this important piece of our valley’s pioneer past. YOU WILL HEAR ABOUT THE DIFFERENT STYLES OF BARNS; HOW THEY WERE FRAMED; WHY CARPENTERS CHANGED THE WAY THEY WERE BUILT AND WHY THESE VENERABLE ICONS ARE DISAPPEARING FROM THE COUNTRYSIDE IN OUR TIMES. 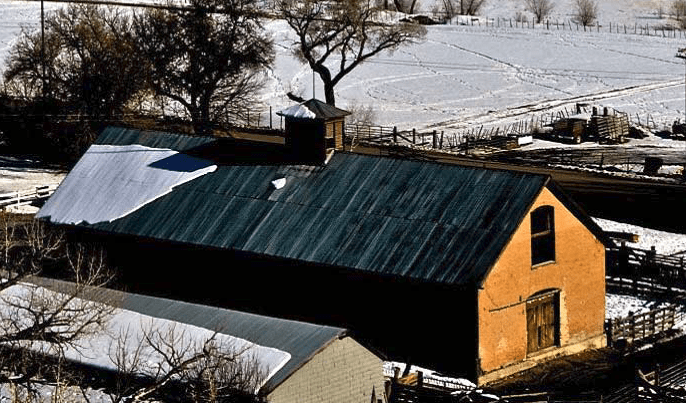 …participants will see a variety of barns in their condition today. 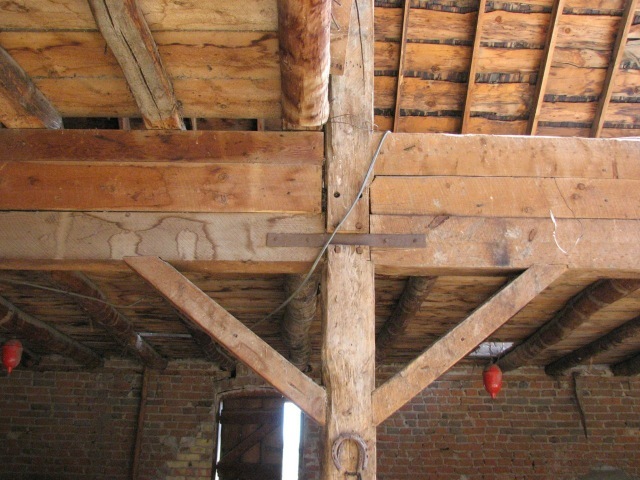 They can learn about some typical barn forms and gain insight about why these styles were developed. …Consideration will be given to the variety of construction methods and the influences that caused them to be changed. Finally the talk is to focus on why barns are disappearing from the countryside today and what we might do to save them. The bus (and tour) leaves at 9:00 AM from the Delta County Fairgrounds in Hotchkiss, and visits nine barns, built from the 1800s to the early 1900s, around the valley. 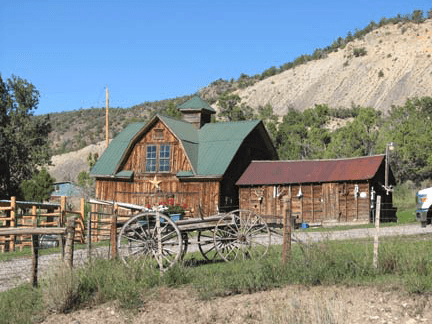 After visiting barns around Crawford and Bone and Stewart Mesas, the tour stops for a box lunch in Paonia Town Park (included with the ticket), before touring more barns around Pitkin Mesa and Hotchkiss, and returning to the fair grounds. 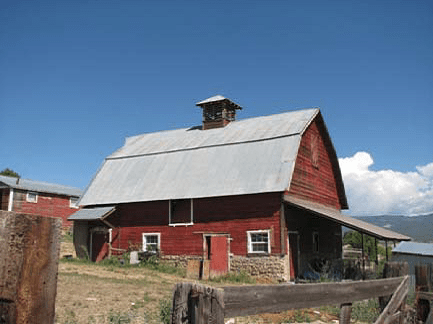 Barns have been icons in the rural environment for over a century. Our purpose is to stimulate an appreciation for these images and to enhance awareness that these venerable structures are rapidly disappearing from the landscape.